You bear the responsibility to ensure 100% security for any online business done through web servers. The reasons for this security concern are ever increasing frauds and identity thefts. The more your web server will provide assurance of security, the better will be the prospect of increasing your customers. 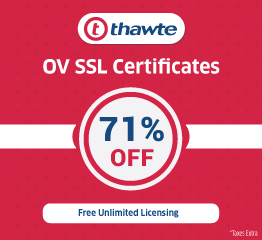 In this context, we will discuss the steps to get an SSL Certificate for your web server. The first step you need to undergo is to generate a Certificate Signing Request (CSR). This step will help you to identify which web server is going to use your SSL Certificate, and also which domain names you are going to use for your SSL Certificate. CSR generation depends on what sort of SSL Certificate you need. There can be varied of platforms, like Apache, WHM (Web Host Manager), Exchange Server 2016, Microsoft IIS 10, Nginx, Parallels Plesk Panel Simultaneously, on generation of the CSR file, you will get the new private key for your SSL Certificate. Private Key will look like an encoded piece of data. Having few number of lines consisting random alphabets, numeric and special symbols. The header and footer of it would look like “——– BEGIN RSA PRIVATE KEY———-” and “———–END RSA PRIVATE KEY——-” respectively. You need this initial step only for the very first time you request an SSL Certificate for your web server. For renewal of the SSL Certificate, please skip this step and start following the next step. Please note that, if you are using an SSL Certificate on the primary domain name of your web host’s shared hosting account. You do not need to generate a CSR by yourself. In that case, your web server host takes care of this step, and you do not have to do anything or you have to generate CSR along with private key, submit the CSR to some reliable third-party Certifying Authority (CAs) which issue SSL Certificates for web servers are Symantec, VeriSign, Thawte, InstantSSL (Comodo), Entrust, GoDaddy, and GeoTrust. 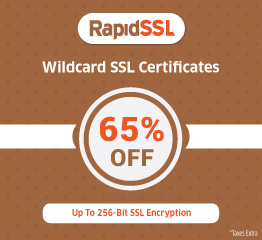 Once you get the certificate from them you have to submit the private key, server certificate/domain certificate, intermediate certificate and the root certificate to the hosting company. You need to provide the contents of CSR to the CA (Certificate Authority). 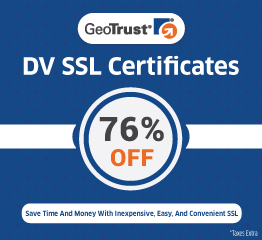 For that, just copy SSL Certificate for your web server the contents of the file in a plain text file (.txt) or you may also paste it into the body of your e-mail and send it to your certificate issuing CA. Your CA will keep the replica and reply you back after signing it. Once the CA signs your SSL Certificate for Web Server, you are going to receive an e-mail from them. Confirming that your certificate has been approved. They will also provide you the URL to download the signed certificate.After the download is complete, you need to browse cPanel > ‘Browse Certificates’ option. The ‘SSL Certificate List’ window will appear. You need to select the desired certificate and then click on ‘Use Certificate’ option. The system should automatically populate the dedicated IP address. If it does not do so, then you need to select the dedicated IP address of your web server from the ‘IP Address’ menu. Finally, just click on the button ‘Install’. Your SSL for the web server will get successfully installed.